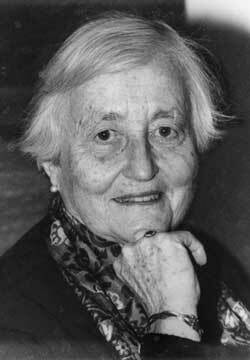 I have wanted to create a post about Mathematician Cathleen Morawetz for a while, because I have found her quite inspirational. She has made significant contributions in the field of partial differential equations, and also gave some terrific career advice at the “Two Olgas conference” about the work of mathematicians Olga Oleinik and Olga Ladyzhenskaya sponsored by the Association for Women in Mathematics (AWM) and the Mathematical Sciences Research Institute (MSRI). I was reminded of Prof. Morawetz when I checked out the website of the Simon’s Foundation where I found a terrific video interview of her. Check it out!